Three explosives devices found Saturday in New York and New Jersey used the same kind of flip cellphone as a trigger — purchased at the same New Jersey discount store — and were made with commonly available materials that can be bought without raising law-enforcement suspicions, authorities say. Federal investigators tell NBC News one of the factors linking the bombs in New York City and Seaside Park, New Jersey, was the fact that the cellphones were purchased last year at the same Family Dollar store in Perth Amboy. Investigators say the flip phone from the Seaside Park device was purchased in February 2015, and the phone attached to the pressure cooker bomb found on West 27th Street was bought in May 2015. There were differences, federal investigators tell NBC News. The New Jersey pipe bomb contained black powder as the explosive, while the pressure cooker that went off on West 23rd Street in New York contained a mixture of ammonium nitrate (or fertilizer) and aluminum poweder. It also contained ball bearings and BBs to act as shrapnel, and was placed in the Dumpster inside a nylon bag with a zipper. 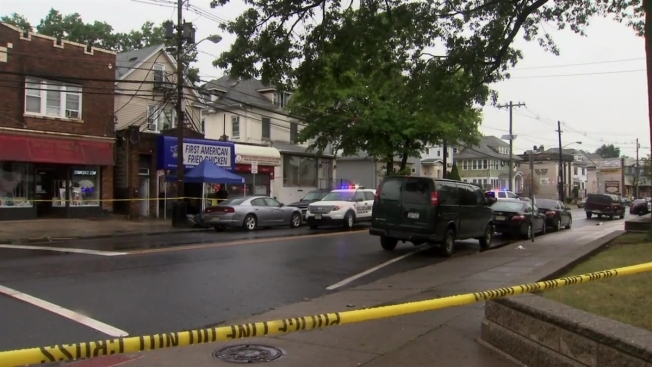 Ahmad Khan Rahami, a 28-year-old naturalized citizen originally from Afghanistan, was arrested in connection with the bombings Monday after a shootout with police in Linden, New Jersey, about 24 miles southwest of New York City. Using pressure cookers to house bombs was popularized years ago by Inspire magazine, an English-language online publication produced by an al-Qaeda affiliate and used by the brothers who bombed the Boston Marathon in 2013. During the manhunt for bombing suspect Ahmad Rahami, police received help from a very important part of the community - local muslims who came together to help track him down. News 4's Roseanne Colletti reports. It's not uncommon for radicalized extremists to acquire online the knowledge needed to carry out an attack in whatever form. "Others who have gone through that same path get a gun, others use a knife," Cohen said. "This guy, as the Boston Marathon bombers did, decided to build explosive devices." Federal law enforcement has been concerned about the growing popularity of compounds used for exploding firearms targets in recent years. Charles Mulham, a retired special agent with the Bureau of Alcohol, Tobacco, Firearms and Explosives, said when the exploding targets were first developed, he was worried about the easy availability of the compounds. "I saw this product come out and thought, oh my God, it's just a matter of time before someone takes this and uses it for nefarious purposes," Mulham said. In recent years there have been multiple reports of injuries related to explosions of the compounds. Those explosions are usually ignited by a high-velocity shot from a rifle. The compounds are routinely sold in two parts, including an oxidizer such as ammonium nitrate and aluminum or another metal-based powder that become explosive when combined. The compounds are not regulated by the ATF because they are sold separately. Anyone using the products doesn't need an explosives license unless they are transporting the combined compounds or using them commercially. The ATF has issued multiple advisories about the products and their use, and has warned that once combined, the compounds are a "high explosive," which detonate quickly and can cause a powerful blast.